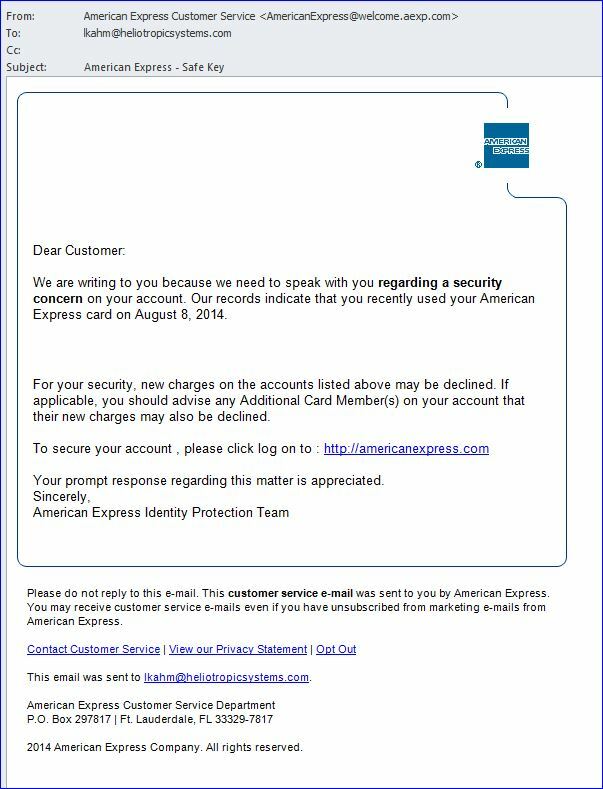 I had purchased software earlier that day, so when an email from American Express Customer Service appeared, I wasn’t surprised. What astonished me though, was the message: “For your security, new charges on the accounts listed above may be declined.” Hmm, there was a minor problem processing the transaction, maybe that’s it. Nope, this is fake. What’s missing from this email? 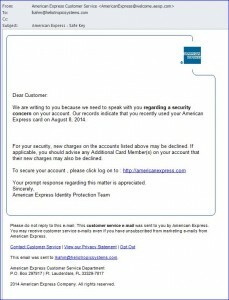 My name, the last four digits of my card, and a phone number… The link goes to http://american-progrecs.com/americanexpress/. Investigation shows this to be a web site registered in China, but operating out of Romania! This is very dangerous, so it bears repeating: Do NOT click on a link from any email you get regarding “security,” because it is — more than likely — a phishing attempt.